CNN has consistently shown how they feel about people of color throughout their reporting of police brutality and the murders of citizens at the hands of police. Y’all saw Deray have to gather himself real quick at the 1:33 mark? LOL. Whew. People just LOVE to bring up Dr. Martin Luther King, Jr., huh? 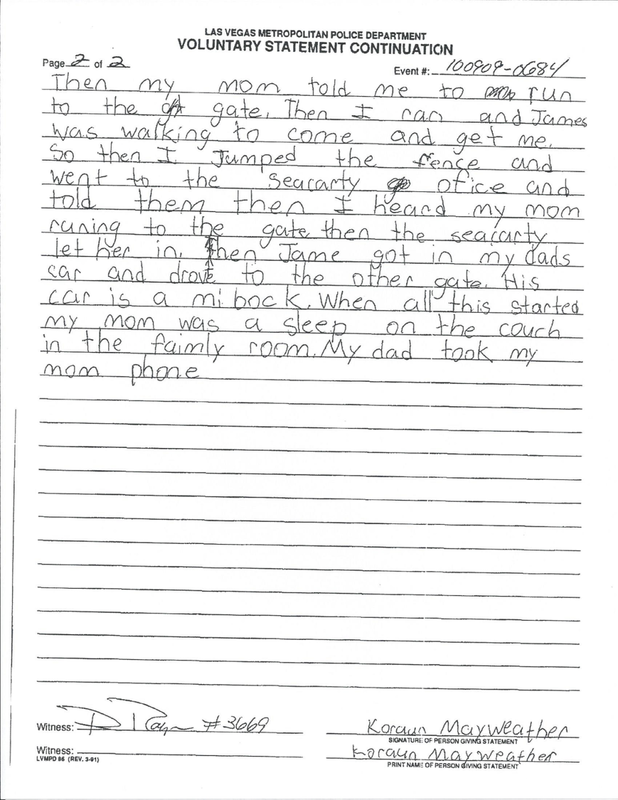 “A riot is the language of the unheard.” – Dr. Martin Luther King, Jr.
Floyd Mayweather’s 10 year old son’s handwritten police report (Floyd assaulted his mother). Mind you, this was in 2010, but still. It’s heartbreaking to see. 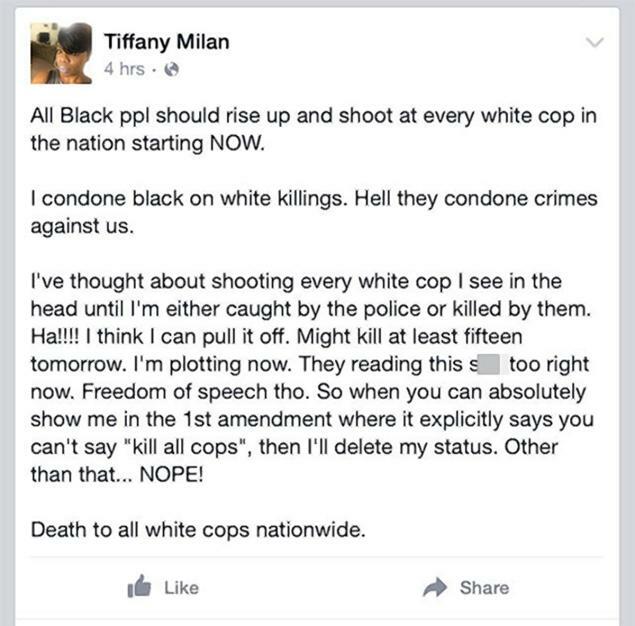 Ebony Dickens, 33, was using the screen name Tiffany Milan when she wrote the “Death to all white cops nation wide” message. 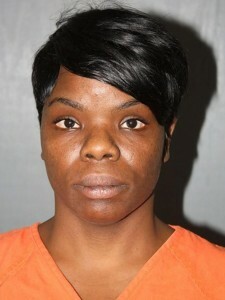 According to WSBTV, the FBI, Homeland Security, District Attorney’s office and the New York Police Department assisted East Point police with Ebony Dickens’ arrest. The Atlanta Police made the following statement on Facebook: Thank you for all the alerts about this Facebook poster. Once we received all your messages, we alerted our Homeland Security Unit who worked all day to locate this person. Once she was found to be living in East Point, we turned the case over to East Point. Thanks again! “That’s 15 people that she’s talking about killing within a day or so, so whether she is serious or not that’s something that we have to take seriously,” East Point Lt. Cliff Chandler said. This post goes on to say that she may be charged with more later. So. This is awful. Not going to pretend it isn’t. And I’m aware that you can’t threaten the lives of people. But a charge of terrorist acts? I tried to look it up to see exactly what that consists of, but I didn’t come up with anything…only information about homeland security, etc. It’s not okay at all, but does it fall under terrorism because of the entity targeted? Or because it’s a threat made against a group? Anyway, yeah this is a disgusting thing to post. As someone mentioned in the comments, we MUST understand that it’s NOT *just* white cops that are the problem. It’s crooked cops PERIOD. It’s the entire SYSTEM. You will easily find people who will tell you black cops have been just as awful to them. Gotta hold each other accountable. Imagine this was a white lady posting about black cops. What would be our reaction then? Ciara has a new boo, and y’all are being so petty on Future’s Instagram account (*giggles*). First of all, they look GORGEOUS together. Ciara looks absolutely beautiful! I like it! 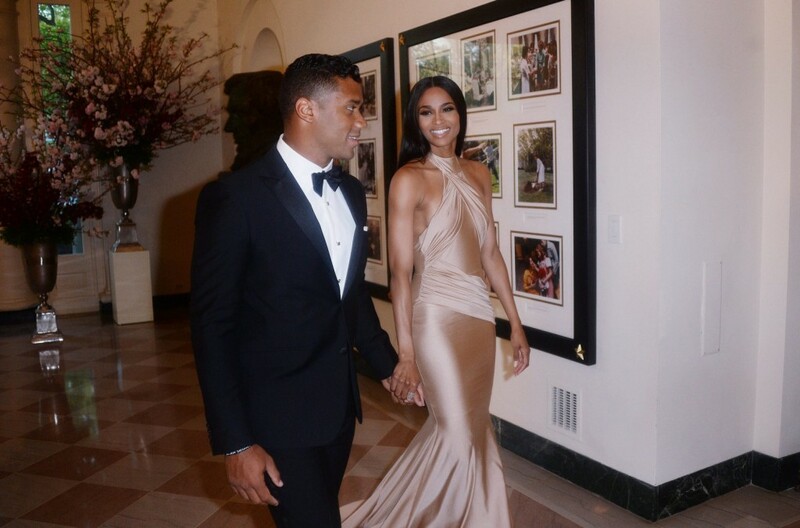 Why y’all on @future page posting  I’m weak!…@ciara new boo is a football player Russell Wilson. Did the Houston Rockets go too far on their Twitter account? As you can see, there are two emojis at the top of a horse and a gun. @HoustonRockets @dallasmavs Relax. It was funny. Thanks for keeping us entertained! Good luck! @HoustonRockets Almost everyone else in the world thought it was awesome! Stop being so sensitive Mavs fans! @HoustonRockets it was definitely awesome. @HoustonRockets Whatever. It was awesome. @HoustonRockets @dallasmavs no it wasn't, you were just having fun. People are way too sensitive. @SBNation The butthurt mafia wins again. R.I.P. comedy, it's been great knowing you. @sbnation Nope. Totally disagree. Those people who found that offensive were the ones who were carried away. @SBNation @swirsk054 Wow. A bit much. I’ll save my opinion seeing as though I’m TOTALLY biased (H-TOWN!!!!!! ), but what do you guys think? I did my best to make the account the best in the NBA by pushing the envelope, but pushed too far for some and for that I apologize. I hope there's another organization out there in need of someone willing to take chances and create engaging social content. I hope. You know, I understand it rubbed some people the wrong way, but I DEFINITELY don’t think it warranted him getting fired. Have we really become this sensitive? Over some emojis? REALLY? And with SPORTS!? The home of trash talk?